Shane Greene (2-1, 3.28 ERA) takes on fellow rookie Allen Webster (1-0, 3.38 ERA) in game two against Boston. 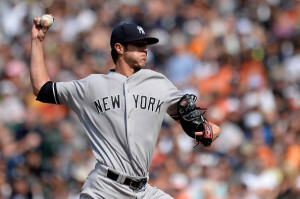 Greene has given the Yankees a boost since joining the rotation in July. He held the Blue Jays to three runs and eight hits in a 5 1/3 inning no decision his last time out. “I felt pretty good,” Greene said after the game. “I made some good pitches. I’ve just got to be better later in the game.” He made his Major League debut against Boston. Joe Girardi said before Friday’s game that he would use newly acquired Martin Prado in right field, even though it was a position he’d never played at the big league level. 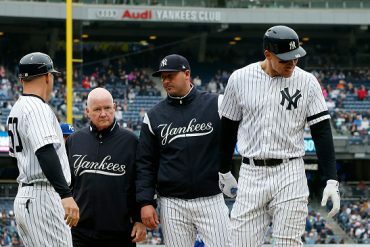 “A guy like Martin Prado, who has moved around in his career and has played a lot of different positions, you feel pretty comfortable there,” said Girardi. Yoenis Cespedes will make his debut for Boston this game. First pitch at 4:05 pm on Yes and Fox Sports 1.